This is life in Florida, every weekend and let's face it our fall season is practically combined with beach and pool weather season, aka summer. In case you have not found the right swimsuit that encourages you to go play in the sun, below I'm sharing a few of my own which also flatter a majority of body types. But first, here's 3 tips for enjoying your time by the water. 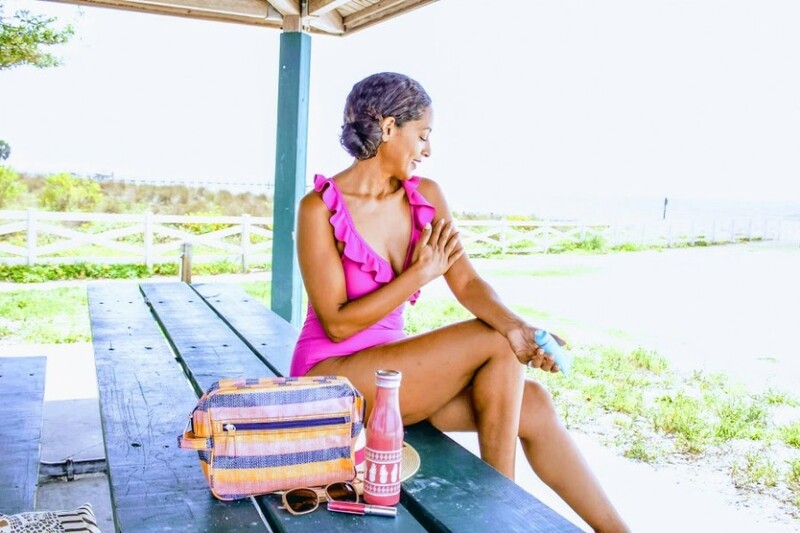 The Top 3 Shape Friendly Flattering Swimsuits in order of priority, since 1 is truly the best quality with all of the enhancing features I need such as, the print, hues and style cut made by Tampa's local business Salty Mermaid. Geo jewel one piece ON SALE!